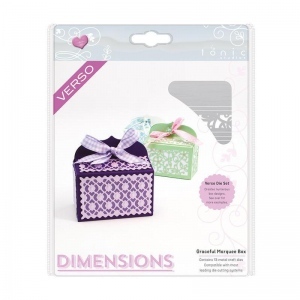 Create beautiful three-dimensional cards with the Window Box die sets. 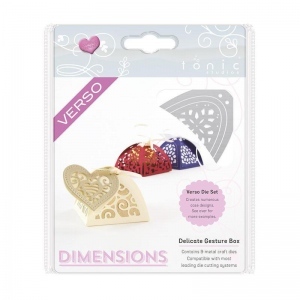 Perfect to use as stand-alone, flat card decorations, these dies shine when used to create window box or bendy cards. This range of products has tremendous value because you can create such unique and original designs. With these die sets being verso as well you can either leave the design in the card or use the outer cutting die to take it out. Die sets in the Dimensions range are designed to create three-dimensional projects. Verso Styled, each set allows for maximum versatility so that no two boxes, handbags, lanterns, envelopes or baubles look the same. Extremely popular, these dies create perfect favour and gift boxes.